Come join us in exploring Antigua’s winding coastline bursting with soft, sandy beaches. You can navigate the same waters as Horatio Nelson and scuba and snorkel the same coral reefs that were once the bane of marauding enemy ships. Get in touch with our team today and sail the tropical trade winds of Antigua. Antigua is the largest of the English-speaking Leeward Islands in the Eastern Caribbean. Like most islands in the Caribbean, it benefits from a warm climate moderated by steady trade winds. 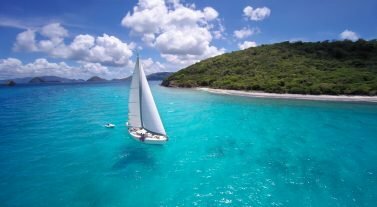 This makes the region one of the world’s most desirable sailing destinations along with its complex coastline, abundance of safe harbors and a nearly unbroken protective coral reef. Sailors flock here as they are spoiled for choice when it comes to sunbathing and swimming. 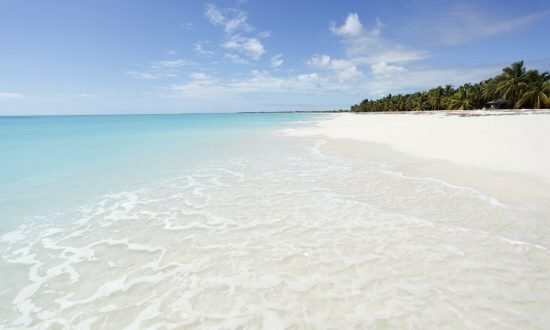 There is said to be 365 distinct beaches on Antigua, one for every day of the year. Ashore, in Antigua’s capital of St. John’s, you’ll find the baroque towers of the cathedral, which dominate the skyline, and a lively hub for shopping and dining. To the south is the island of Montserrat and to the north and west are Nevis, St. Kitts, St. Barts and St. Martin. Dream Yacht Charter in Antigua: Our diverse fleet of catamarans and monohulls for bareboat yacht charters are based at Jolly Harbour, a full-service marina with restaurants, a supermarket, boutique shopping and a welcoming atmosphere. In the spring, more than 100 yachts, from performance racers to cruisers, head here for Antigua Sailing Week. Our Antigua base team will receive you warmly and look after you, giving local tips and advice. If you need help planning your charter, check out our inspirational itineraries section or get in touch with our team to find out more. The time difference in Antigua is Coordinated Universal Time (UTC) -4 hours. Make sure your documentation is in order to travel. Customs clearance for both checking in and out of Antigua is mandatory, so make sure you leave enough time when you return to base to check in again. You will be charged USD$500 if clearance and your removal off the crew list by immigration is not completed at the end of your charter. Talk to us to make sure you have the correct documents before you travel, and to talk through your itinerary timings to make sure you’ve left enough time. You can easily hail a taxi in Antigua at reasonable prices but public transport is limited. For specific information about restrictions, visit the airport website. The currency is the Eastern Caribbean Dollar, but the US Dollar is also accepted. Most major credit cards are accepted. ATMs can be found in the main tourist areas and banks are open Monday to Friday (9:00am to 1:00pm). You’ll find free Wi-Fi in the Jolly Harbour marina. Getting online is easy with plenty of Wi-Fi spots and cyber cafés, but you may find that speeds vary. Temperatures in Antigua between December and May (the winter months) can reach 86ºF with cooler nights around 68ºF and a water temperature of 78ºF. Between June and November the weather is warmer and less stable with temperatures around 89ºF and a water temperature of 82ºF. 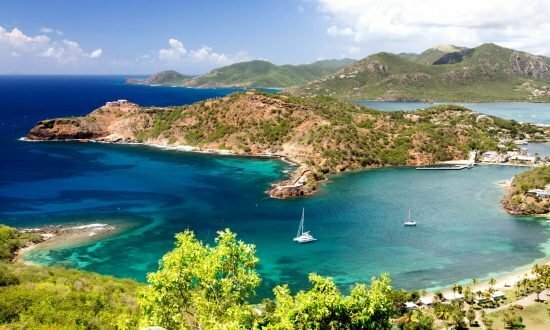 Sailing conditions in Antigua during the winter months are stable with trade winds blowing from the east or north-east up to 18 to 20 knots. Sometimes there can be northerly ground swells in some anchorages – talk to the base about your itinerary before you set off. In the summer, winds blow from the east to south-east between 10 and 25 knots. Day 1: Arrive at the base, Jolly Harbour, a relaxed Caribbean town with open air bars on the waterfront – perfect for atmospheric cocktails as the sun sets. Greencastle Hill Park is one of Antigua’s highest points and popular for its views and megaliths. Day 2: Head to Five Islands Harbour and the boat accessible Pinching Bay, where you can enjoy a peaceful, undeveloped beach – something that’s becoming rare on Antigua. Snorkeling and beachcombing are good here but take your own provisions for lunch and dine on board. If you want amenities, try the neighboring Hawksbill Bay with its resort. Day 3: Sail north to Deep Bay, which is renowned for great snorkeling thanks to a 100-year old shipwreck in the bay. You’ll be able to see a lot underwater here as the water is so clear and calm. If you are feeling energetic you can hike for 10 minutes and explore Fort Barrington, which was built in 1780. Day 4: Head south to English Harbour, which is also known as Nelson’s dockyard due to its heritage as an important former British military base. Horatio Nelson lived in the dockyard in the late 1700s. This is the last working Georgian-era dockyard in the world and it’s recently undergone a major transformation and restoration. Get a fantastic view of the area on the hills overlooking the dockyard at Shirley Heights, which is also an old military position and gun battery sitting 490ft above sea level. It’s the place to be on a Sunday afternoon and evening, when a local steel band plays and you can enjoy delicious local BBQ while watching the sunset. Day 5: Head to Green Island, an uninhabited isle which is privately owned by the Mill Reef Club. 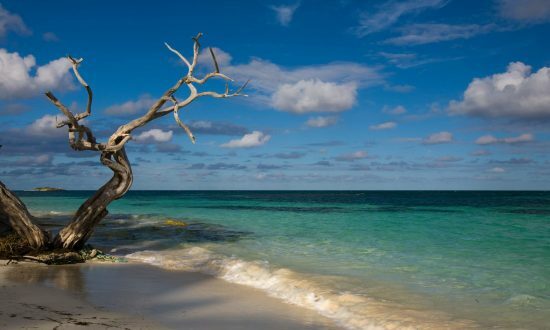 The western part of the island is just the spot for snorkeling and spotting colorful fish, even turtles, as well as exploring quiet, sandy beaches. It’s often described as a charter highlight. You can also stop by Willikies and the rock formation Devil’s Bridge. 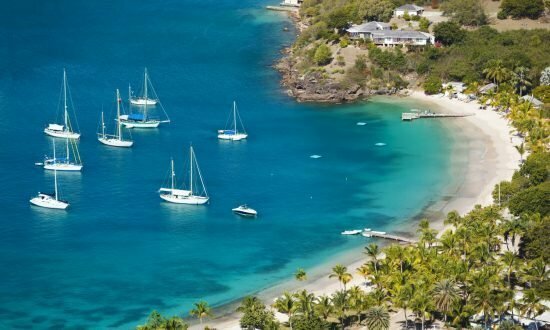 Day 6: Make for Carlisle Bay, known for its luxury resort where you can enjoy the fine dining ashore or stop at the wonderful anchorages to explore beautiful scenery. It’s a great place to kayak and explore the mangroves. Day 7: Head back to base. Our Antigua Base Manager, Sheena Williams (+1 (268) 717-3870, email: antigua@dreamyachtcharter.com) will be pleased to welcome you on arrival at the Jolly Harbour Marina. The base is open 8:00am to 5:30pm, 7 days a week. Check in time on board the yacht is 5:30pm when a short orientation is given. The technical and chart briefing is given at 8:30am the next morning. Fly to V. C. Bird International Airport (ANU), Antigua, from Miami (3 hours flight time), New York (4 hours flight time), Atlanta or Charlotte. Carriers include American Airlines, Delta Air Lines, United Airlines and US Airways. There are also international direct flights from London, Manchester, Frankfurt and Canada. We can arrange airport transfers on request to our marina, which takes about 45 minutes by taxi. Make sure your passport is in date and valid for the duration of your stay. We have visa advice under our Handy Info section. Monitor the weather and sailing conditions with WeatherCarib. 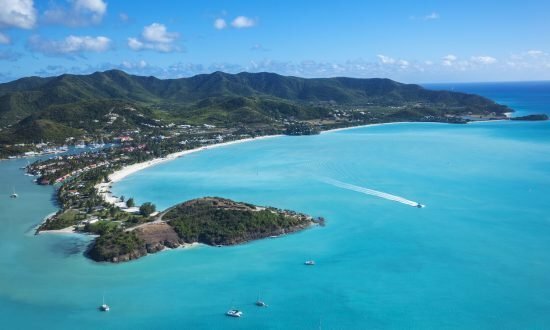 There are plenty of provisioning options and within the Antigua Slipway you’ll find fuel, water, ice, restaurants and shops, as well as money exchanges nearby. We recommend you provision in advance so that your supplies are ready for your arrival. Just fill in the forms in our Useful Downloads section.